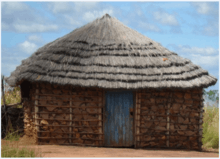 In the early years, rates were $1.00 per night and $1.00 per meal. In 1938, all-inclusive six-day horseback trips cost $46.00 per person. The rates for 2011 are $151.00 per person per day for lodging, breakfast and dinner, and $15.25 for lunch. Camps without showers charge $6.00 less per day. Six day saddle trips are $1603.00. 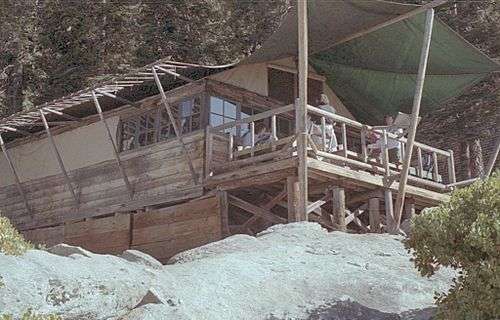 The Yosemite Park and Curry Company operated the High Sierra Camps until 1993, when the company was purchased by Delaware North, which has operated the concession ever since, and manages all of the camps except the Sequoia High Sierra Camp. Demand for reservations at the Yosemite backcountry camps is very high, and a lottery is conducted for reservations, with applications being accepted from September 1 to November 1 of the previous year for reservations the following summer. It is the backcountry camp closest to a road, and is accessible by an uphill hike of 1.2 miles (1.9 km) from the parking area. Glen Aulin High Sierra Camp is located a hiking distance of 8.6 miles (13.8 km) northeast, and Sunrise High Sierra Camp is located a hiking distance of 8.3 miles (13.4 km) miles southeast. 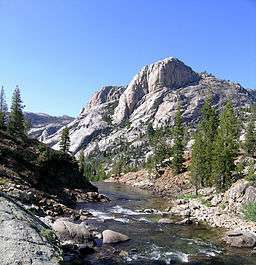 This final link made it possible for hikers to take a six-day wilderness loop trip around the Cathedral Range from the Tuolumne River to the Merced River and back again, without carrying a heavy backpack, since nightly accommodations and meals were available at six points along the way. Clouds Rest, one of John Muir's favorite peaks, is located 7.0 miles (11.3 km) miles north. 1 2 Morey, Kathy (2008). Hot Showers, Soft Beds, & Dayhikes in the Sierra: Walks & Strolls Near Lodgings. Wilderness Press. ISBN 978-0-89997-435-4. 1 2 3 4 5 6 7 8 Sargent, Shirley (1977). Yosemite's High Sierra Camps. Yosemite, California: Flying Spur Press. ↑ Orsi, Richard J.; Runte, Alfred; Smith-Baranzini, Marlene (1993). Yosemite and Sequoia: a century of California national parks. Berkeley, California: University of California Press. ISBN 978-0-520-08160-4. ↑ Yosemite National Park, California. United States Department of the Interior, National Park Service. 1938. ↑ "Yosemite High Sierra Camps Rates". DNC Parks & Resorts at Yosemite, Inc. September 4, 2011. Retrieved September 4, 2011. ↑ "U.S. Picks Concessionaire for Yosemite Park". New York Times. December 18, 1992. Retrieved September 1, 2011. ↑ "Yosemite High Sierra Camps How to Apply". DNC Parks & Resorts at Yosemite, Inc. September 4, 2011. Retrieved September 4, 2011. 1 2 Schaffer, Jeffrey P.; edited by Paul Backhurst (2001). "High Sierra Camps Loop". Backpacking California. Berkeley, California: Wilderness Press. pp. 314–326. ISBN 978-0-89997-286-2. ↑ Kaiser, James (2007). Yosemite, The Complete Guide. James Kaiser. ISBN 978-0-9678904-7-0. ↑ Clark, Lewis W. (1953). Trail Guide to the High Sierra Camp Areas: Yosemite National Park. Stanford, California: Stanford University Press. ↑ Secor, R.J. (2009). The High Sierra Peaks, Passes, and Trails (3rd ed.). Seattle: The Mountaineers. pp. 407f. ISBN 9780898869712. 1 2 Stienstra, Tom (June 21, 2007). "Regal views top crowned peaks, Sequoia High Sierra Camp: Call of the wild awaits -- with the comfort of a bed, tent and gourmet cuisine at the campsite". San Francisco Chronicle. San Francisco. Retrieved September 4, 2011.